The maximum of people per day is 400, divided into two groups and schedules, from 7:00 to 8:00 and from 10:00 to 11:00. If you book weeks in advance, you will not have trouble finding a place. 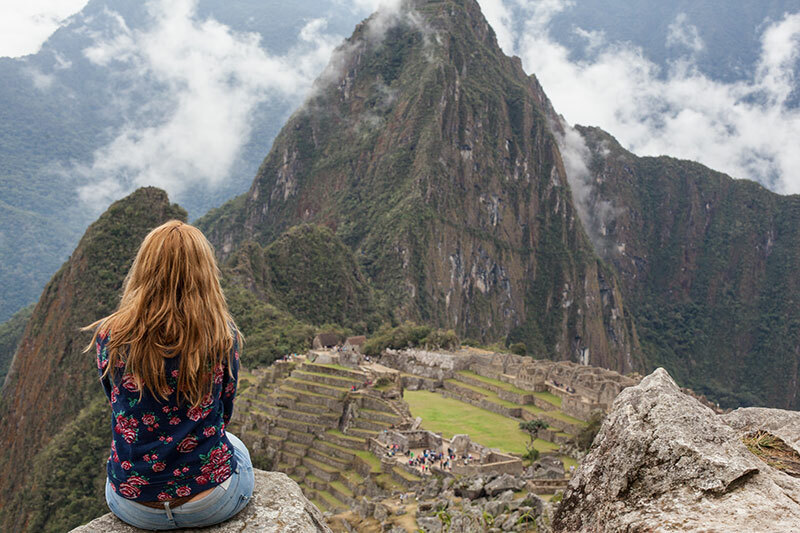 To give a previous mental image, suffice it to say that the Huayna Picchu is the rugged mountain that appears in the background in the typical postcards of the city of Machu Picchu. Set in a valley between mountains. And if he has already made the decision to reach the top, let nothing stop him. The entrance is to the north of the ruins just behind the Sacred Rock. It is said that looking for a way on its own, outside the indicated, is so dangerous, that if it fell, would surely find death, but we assure you that you will have no problem if you follow the route indicated by the guide. In your tour, you will find that much of the way is surrounded by thick vegetation of the jungle eyebrow, which will somehow protect you from risky steps exposed, and allow you to move forward with peace of mind, we recommend to pay close attention on the way. It is a vertical road, slippery in the rainy season or because of the humidity of the morning; With some very narrow steps, very impressive, cause dizziness and in rare opportunities, slight panic attacks in some people; Steps with steps 35 cm high, 70 wide and 15 cm deep, with an exposed fall of about 500 m. One of its sides. Visitors talk about it, as one of the best experiences on the planet !, so go ahead. And when you are in the highest you will have privileged views, reserved only for those who reached the top, not only of the Inca city (in 360 °) but also of its surroundings, the mountain range of the Andes as background, the winding river Urubamba at our feet, a natural and marvelous frame that envelops one of the greatest Wonders of the World. The descent gives you access to the Temple of the Moon, take you along a circular path that will return you to the citadel, still in time to appreciate it as it deserves. 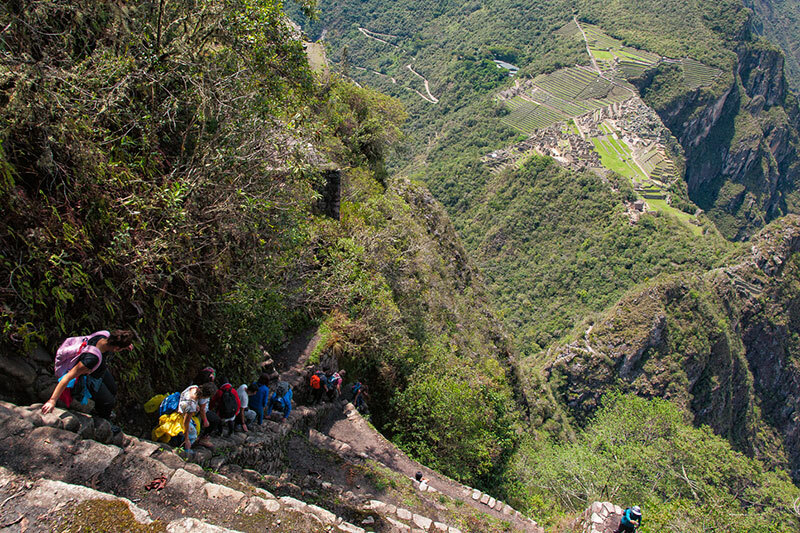 For most people visiting Machu Picchu, Huayna Picchu is (literally) the end point of a visit to Machu Picchu. 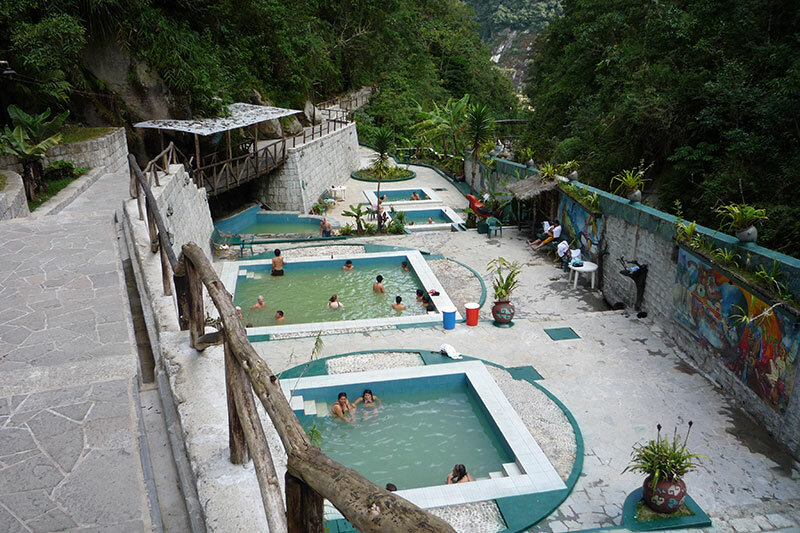 Although it is worth mentioning that the town of Aguas Calientes and its hot springs are the best place to relax after a hard hike.